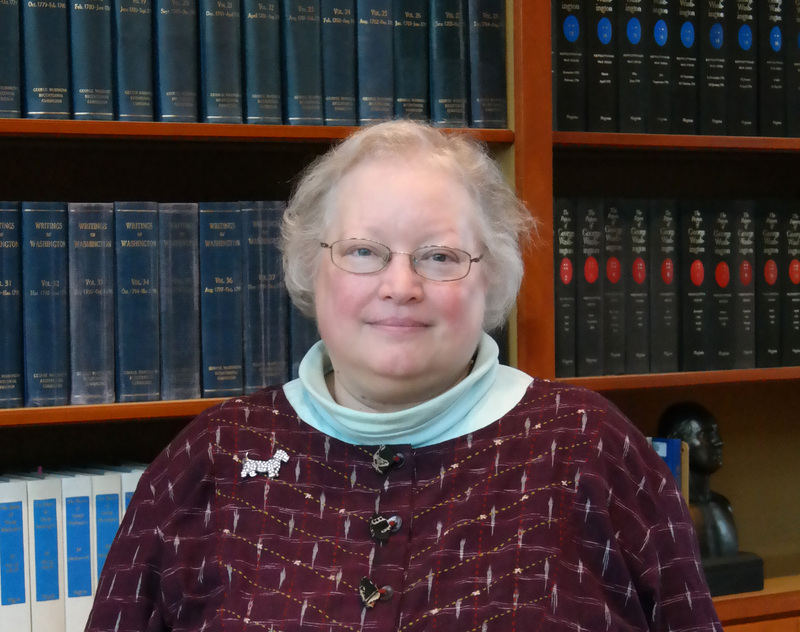 Mount Vernon Research Historian Mary V. Thompson awaits the release of her second book, The Only Unavoidable Subject of Regret: George Washington, Slavery, and the Enslaved Community at Mount Vernon (2019). It comes on the heels of Thompson’s first, In the Hands of a Good Providence: Religion in the Life of George Washington (2008). Mary and I first met in 1995; we are colleagues and she joins me for a Q&A. Q1. Jamestown now celebrates 400 years of African-American history. The first 20 black Africans arrived in Jamestown in 1619, twelve years after the Colony’s founding. They came by ship, as human cargo, for sale as indentured servants. Yet George Washington, son of Augustine and Mary Ball Washington of Westmoreland County, Virginia, grew up with slaves. Explain the transition from indenture to slavery; the plantation practices that promoted slavery. A1. George Washington was born on February 22, 1732, into a world in which slavery was simply a fact of life. The first Africans had arrived in Virginia more than one hundred years earlier and new research has shown that, contrary to long-held beliefs, most were enslaved from the outset. The basic outlines of the legal status of Virginia slaves were clarified in the 1660s and 1670s, with the passage of legislation stating that: whether children born in Virginia were free or enslaved depended on the condition of their mother (1662); conversion to Christianity and subsequent baptism would not result in freedom for a slave (1667); masters would have almost total control over how their slaves were disciplined, and would not be prosecuted if a slave died while being punished (1669); and the government would police slaves and owners would be reimbursed for any slaves who were killed while being recaptured (1672). As noted by historian John Coombs, “even before the supposedly critical turning points of statutory recognition of slavery in the 1660s and the beginning of direct African deliveries in the mid-1670s, only a handful of blacks in Virginia were held in the capacity as servants. . .the normative condition for “negroes” was enslavement.” And, with few exceptions, that period of enslavement lasted for the lifetime of the individual. Q2. At what age did George Washington first become a slave-owner; for what reason(s) did his/Mount Vernon’s inventory increase? Who was Mount Vernon mulatto slave William Lee? A2. George Washington became a slave owner at the age of eleven, when he inherited ten slaves upon the death of his father in 1743. The division of those people among Augustine’s heirs did not take place until George Washington was eighteen years old; at that point he actually inherited eleven people, because a child had been born to one of the women in the meantime. The number of slaves owned by Washington grew through: a) the inheritance of additional slaves, following the deaths of other relatives; b) the purchase of slaves, primarily from Virginia estate sales and from slave ships; c) through his marriage to Martha Dandridge Custis, a wealthy widow, in 1759; and d) by natural increase as enslaved women at Mount Vernon and other properties owned and/or managed by him gave birth to children. Within three years of the start of the American Revolution, Washington decided that he no longer wanted to be a slave owner, but at that time he was unable to free his slaves, because of a Virginia law which made it impossible for individual slave owners to manumit their slaves, something that had to be done by an act of the Virginia legislature, generally for bravery or some sort of meritorious service. That law was changed in 1782, finally making it possible for individuals to free their slaves. By the end of Washington’s life, there were over 300 enslaved people at Mount Vernon: 123 were owned by him; 153 were owned by the estate of Martha Washington’s first husband; 40 were rented from a neighbor; and one was rented from a relative. William Lee was a mixed-race slave who was purchased by George Washington in 1768 from the widow of a Lee family member. William’s younger brother, Francis [Frank] Lee, was also purchased by Washington. Frank eventually became the butler at Mount Vernon. William Lee became Washington’s valet or personal servant and accompanied him almost everywhere. Q3. “The Negroes thus bound are to be taught…to read and write,” Washington wrote. To what extent were Mount Vernon’s slaves educated? Brought up to some useful occupation? Did Washington ever think literate slaves and rebellious slaves were one and the same? A3. Washington arranged for those slaves he intended to work at trades to be trained in their craft by his hired and indentured artisans. For certain jobs, being able to read or write; be competent in elementary math may have been useful. For example, during the 1780s, the overseers on four of the five farms that made up the Mount Vernon estate were enslaved themselves. Overseers were generally required to turn in weekly reports regarding work done under their supervision. It may be that learning to read and write was necessary, but we don’t know for sure. We do know that when they were sick, those reports were not turned in. We don’t know whether that was because they were too sick to write them up, or if it was because they were too sick to personally give their reports orally to the farm manager. We know from an interview with Oney Judge, who had been Martha Washington’s lady’s maid, before she ran away in the spring of 1796 in Philadelphia, that she was never taught to read, but that was probably because literacy was not seen as a part of her job. After her escape, Oney lived in New Hampshire, where she did learn to read, something of which she was very proud. Washington does not seem to have believed that literate slaves and rebellious slaves were the same thing. It was not until about a decade after Washington’s death that Virginia passed laws to prevent slaves from learning to read and write. He does seem to have understood that literate slaves had a better chance of successfully running away than those who could not. Q4. During the American Revolution General George Washington traveled with slaves, watched as black soldiers died on the battlefield. “[T]here is not a man living who wishes more sincerely than I do, to see a plan adopted for the abolition of slavery,” Washington wrote in 1786. What policy changes if any did Washington prefer? A4. After the war, when he had more time to think about the issue, Washington told many people that he believed the best way to abolish slavery in the new United States was through a policy of gradual emancipation. Pennsylvania had passed a law in 1780 that all slaves born there in the future would become free when they reached the age of 28. Other northern states followed suit. In the year Washington died, for example, the New York legislature agreed to free future-born enslaved men at 28 and women at 25 years old. New Jersey, Connecticut, and Rhode Island instituted similar plans. As a result of these laws, about 75% of African-Americans in the northern states were free by 1810. A5. We don’t really know, because he said very little during the convention. Q6. Why did George Washington liberate his slaves upon his death in 1799? Did he feel the union had been preserved, the South included, and emancipation by degrees too slow? What is the generational takeaway? Did succeeding Mount Vernon owners Bushrod Washington and John A. Washington, Jr. own slaves, favor slavery? A6. 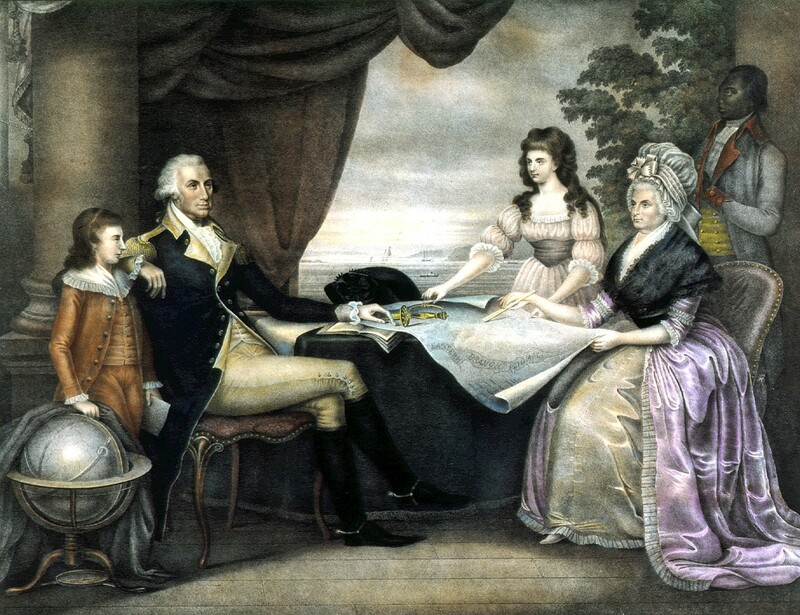 Washington chose to set out the plan for manumitting his slaves in his last will and testament, in which he said that, although he wished they would be freed sooner, they should go free upon the death of his widow, Martha Dandridge Custis Washington. The reason he gave for waiting until she died was that he did not want her to have to deal with the break-up of the enslaved families at Mount Vernon. He wanted to keep the families together as long as he could. Over the forty years he and Martha were married, his slaves had intermarried with her “dower slaves,” who belonged to the estate of her first husband, Daniel Parke Custis. Daniel’s death in 1757, without leaving a will, meant that his widow received the lifetime use of one-third of his slaves, but that upon her death, they had to be divided among the remaining heirs of her first husband. In this case, the remaining heirs were Martha’s four Custis grandchildren. About twenty families at Mount Vernon were the result of marriages between Washington and dower slaves. Those people who belonged to George Washington would be freed; the dower slaves would not. Those families would be torn apart when the two groups went their separate ways. While some people praised Washington for freeing his slaves, others were highly critical and felt that he had not been considerate to other slave owners in Virginia, that the state wasn’t ready for such a large emancipation all at once. The later Washingtons at Mount Vernon did not follow George Washington’s example, but brought slaves of their own to Mount Vernon. Enslaved people continued to work on the estate until about 1860, when the Washington family sold Mount Vernon to the Mount Vernon Ladies’ Association and took their slaves with them to their new home in Fauquier County, Virginia. People did criticize Supreme Court Justice Bushrod Washington, who inherited Mount Vernon after Martha Washington’s death in 1802, for selling a number of his slaves in the 1820s. When people wrote in the newspapers that Bushrod should have been more like his uncle in regard to his slaves, he responded harshly—also in the newspapers—that he was not his uncle, that those slaves were his property, and that he had every right to sell them. Q7. George Washington’s adopted grandson, slave owner George Washington Parke Custis of Arlington House, explained slavery as the “unhappy error of our forefathers.” Do you agree? A7. Slavery has been called America’s “original sin.” This statement refers back to the “original sin” of Adam and Eve in the Bible’s book of Genesis —their sin in eating the forbidden fruit, because they wanted to be more like God—an action that resulted in God’s curse on the human race, which has impacted every subsequent human down to the present day. In the case of slavery, we are still dealing with the repercussions of 250 years of race-based slavery (1619-1865), followed by another 100 years of race-based Jim Crow laws, peonage, and institutional racism, which kept the descendants of freed slaves from being full-fledged citizens of this country. We still have not really faced up to that original sin. Mary received her M.A. in history in 1980 and joined Mount Vernon’s staff the same year. 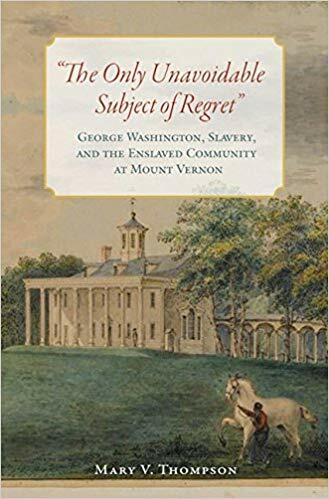 Advance copies of The Only Unavoidable Subject of Regret: George Washington, Slavery, and the Enslaved Community at Mount Vernon can be purchased online at www.Amazon.com. A good article and timely one Mary. Especially during the Va gubernatorial fall out this season. Reading this brought me back to happier days while I learned and served as an Interpreter at Mount Vernon. Your guidance was always on point.